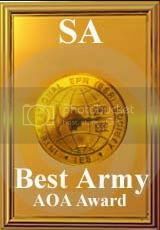 "We are group of players who want to be a great army. This is a two-fold work-in-progress. On the field, we want to achieve greatness as a team in the three major gametypes: TS, TBM, CTF. More importantly though, both on and off the field we want to be a group of people who show good sportsmanship, who can talk openly among one another about events in real life/TT (in private forums mostly), and are well mannered in the PTT/TT community. Again, this is a work-in-progress, which means we shall strive to uphold certain moral values on TT, on this here community, and even in real life. We are the Shadow Army." Note: See Rules of Activity if you are on this list. Note: To avoid confusion in any of the following, the term Officer refers to Leaders, Assistant Leaders, and Captains. 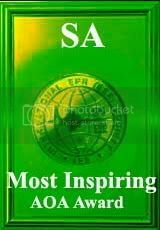 -To join SA, a LEADER, ASSISTANT LEADER, or CAPTAIN must ask you to join SA. 0. You ask to join SA (this is step 0 because it is not a required step, but it is highly recommended). 1. SA members (all members) will discuss your pending membership into SA. This discussion will encompass anything any member has to contribute to you in the areas of: character, personality, TT skills, and other odds and ends (listed in the order of importance). 2. SA members will decide whether or not we will accept you. This is usually a unanimous decision, or with extremely few dissenting members. 3. A Leader, Assistant Leader, or Captain of SA will contact you (whether in e-mail, PM, or in-game). Please note that we will not contact you only if you did not ask to join SA and you were rejected. If you ask to join, you will always get a response in a timely manner. 4. If you were accepted and you accept our invitation, you will join SA as a member. Congratulations! -No lying. If you lie, you can't be trusted. -No swearing. Its a disgusting habit that won't be tolerated. -No impostering. This is about as disrespectful as it gets. Don't degrade yourself to this. -Respect is shown where respect is given. Respect other players, and we'll respect you. -Have good sportsmanship! No one likes a bragger, nor someone who gets in a grumpy mood when they lose. Lighten up, it's only a game. -When a war is approaching, first find out if you can make it. If you can't, say so, it won't be held against you. In fact, it's only when you don't say something that you will be held accountable for it. -Have an e-mail address. We keep contact through the private forums and e-mail, and e-mail is where the most recent/important information is given. Don't miss out! -Wear SA in your name in one form or another. -If you see a chance to join your fellow SA in a server (fairly), do so. 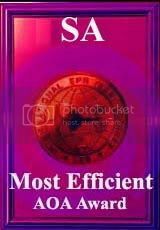 You can improve your teamwork with that member of SA. Besides, if you're both SA, you'll probably mop the floor with the other guys (provided you're not versing other SAers of course). -Be in at least one practice a month. Talk to a leader, assistant leader, or captain if you can never make the practice time so this won't be held against you. -Be active on the private forums twice a week. We discuss things on the private forums. Not all of it is relevant, but what is relevant requires input from all members. If you are not active enough, you will be given a warning, via e-mail, PM, or in-game. If you continue being inactive, you will be kicked from SA. If you are kicked, you must apply for membership again by asking a leader, assistant leader, or captain to rejoin SA. Note: If you are the Founder of SA or a Former Leader, you have the right to rejoin SA as a Captain at any time. 1. Speak to whoever you have a problem with. Try to settle whatever problem you have on your own first. 2. If you absolutely have to, bring your problem to the attention of an Officer. 3. Your problem will be discussed by the Officers of SA (unless your problem is with an Officer of SA). 4. This discussion will, most likely, lead to one person volunteering to take up your case. This person will hear what both sides have to say, will investigate other sources of information, and will come to a decision. Do NOT argue with this decision unless it is clearly unfair. After all, if you go to a mediator for a problem, you are agreeing to go by his/her decision. -If you wish to go to war with us, e-mail an Officer, who will promptly inform the rest of us of the challenge. A response will be sent in a timely manner. Congrats SA's! These awards are but a symbol of all our hard work and dedication towards fulfilling our ultimate goal! May this year bring fruits of hard labor and success! Thank you for reading the SA Thread, and if you're new, Welcome to the Shadow Army! This header can be updated by any current Officer of SA. Last edited by SA Officers on Sun Nov 15, 2009 8:44 pm, edited 79 times in total. And now SA shows up on PTT2 (as shown in the url). May I say that the pics in the top post are rubbish.. looking at the white as background while all the rest is gray? ^ We're working on that, the move from the different sites is causing the picture background to be different. Due to the many different backgrounds alpha would do best.. In any other occasion it won't fit with the background of the forum at least in 1 of the themes. ^ Please refrain from coming in here with an insult one day after these forums have opened up. Nothing here is perfect, but we're working on it. Constructive critism is always fine, but ^^^ was just a plain insult. Again, please refrain from the insults, it's still a work-in-progress. Thank you.